After a year that saw the average price of gas stay between $3 and $4 per gallon, drivers are finally getting some much needed relief at the pump. Last week the Post reported gas had dropped to $1.94 in Cedar Springs, from $2.13 the week before. 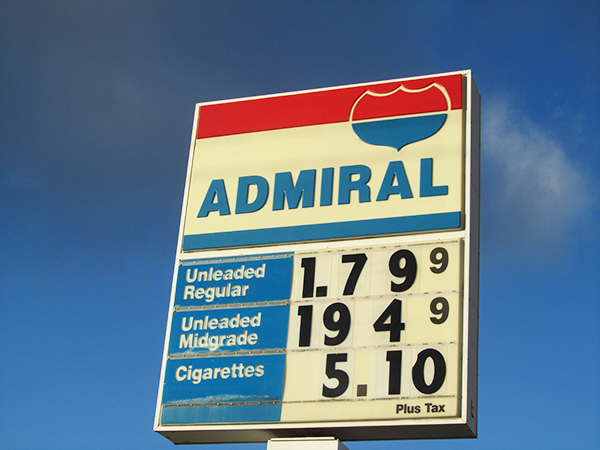 As of Tuesday, December 30, gas in Cedar Springs is now $1.79 per gallon. That’s the lowest it’s been since early 2009. According to GasBuddy.com, the average price of gas, as of Tuesday, in Grand Rapids is $1.86; the state average is $2.00; and the national average is $2.26. “The dramatic decline at the pump continues to reap significant savings for the motoring public—over $525 million less spent every day versus this past summer, or $375 million less than the same time last year,” said Patrick DeHaan, senior petroleum analyst with GasBuddy. “The slump in crude oil has wavered slightly and we’re in the fourth quarter of the game. However, there is still a chance that crude prices resume their slump again, and carry the pump plunge into overtime,” DeHaan said. According to DeHaan, as of Monday, gas prices had fallen $1.85/gal in Michigan since June 28, the largest drop in the nation. Following close behind: Kentucky, down $1.66/gal, Indiana, down $1.62/gal, Ohio, down $1.61/gal, and Illinois, down $1.60/gal over the same time frame.